We’d love your help. Let us know what’s wrong with this preview of Shaper by Christine Danse. To ask other readers questions about Shaper, please sign up. A ScatteredThoughtsandRogueWords Review. This review can also be found here. This b A ScatteredThoughtsandRogueWords Review. This review can also be found here. 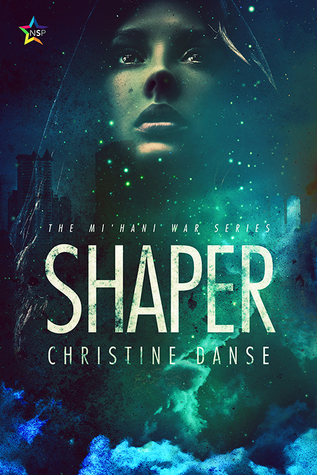 "Shaper," by Christine Danse is a short scifi story that packs a punch! A woman on the run, scared, and without memories. Another woman who may be a savior or a threat. Rapid-fire action driven by moments of loss, healing, and love. This is a quick read that will leave you wanting more. I look forward to reading more from this talented author. Our protagonist doesn’t know her name. She’s on the run from people who will kill her, but someone—possibly equally terrible—finds her first. The woman is not kind, not exactly safe, but she is understanding…and seems to know her. Our protagonist goes through a series of intense and varying emotions. Finding out why she was hunted, who she is and why she’s different, and who the woman is, are a large part of her emotional process. When she discovers her past, it inevitably leads her to the bleak Our protagonist doesn’t know her name. She’s on the run from people who will kill her, but someone—possibly equally terrible—finds her first. The woman is not kind, not exactly safe, but she is understanding…and seems to know her. Our protagonist goes through a series of intense and varying emotions. Finding out why she was hunted, who she is and why she’s different, and who the woman is, are a large part of her emotional process. When she discovers her past, it inevitably leads her to the bleak reality of her future. The emotional tension was beautifully done. Shaper is a short story and if I judge this as I would other short stories, it was too long. I loved how it started, but there was a huge flashback chunk smack in the middle of the work which slowed down the tension. Not knowing what was going on, or what was going to happen, created an excellent mystery/thriller vibe, but as soon as we had that flashback, my emotional investment melted away. It would have been better, maybe, to end the story right after the flashback, or it may have worked better if the flashback had been shorter. As it was, the story emotionally ended for me about two thirds of the way through. As for the science fiction elements, they didn’t seem as important as the interpersonal conflicts and relationships. The world is a dystopia, where the government controls people who develop special powers. We knew a little bit about what sorts of powers people can have, but mainly we knew our protagonist was running from those people who collect those with powers, and that seemed to be enough worldbuilding for me. I could have done without the details provided in the flashback. The true win for me was the wonderful tension we felt through the back and forth between the protagonist and the woman, and the mysterious elements in the story. If you like short pieces about dystopian lit, especially lesbian in nature, then give this one a shot. I’d also be on the lookout for when this author writes another novel. The speculative fiction elements weren't as important as the delightful interpersonal tension in this short science fiction story. This was a quick read that will make you feel, everything from suspense to loss to love and back again. My only critique is that it was too long, and the flashback in the middle of the story was a bit heavy-handed for my tastes. Christine Danse lives in Oregon.